EDMONTON, ALBERTA--(Marketwired - Nov. 30, 2016) - Alberta Construction Magazine revealed the winners of its 2016 Top Projects Awards earlier today at a luncheon event in Edmonton at the Royal Glenora Club. 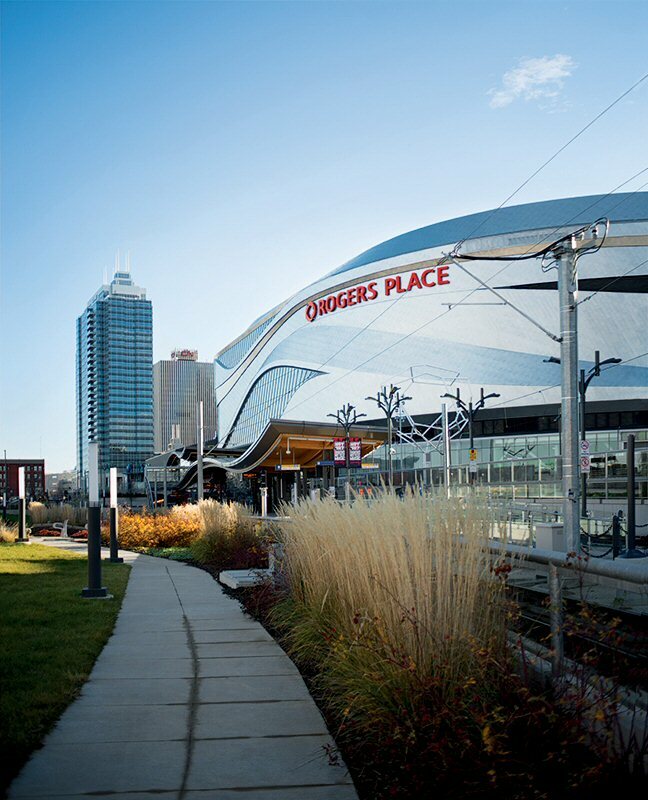 Project of the Year went to Rogers Place, Edmonton's multi-use indoor arena, which also won the Commercial Design award. Opened to the public in September 2016, the project earned praise for its sustainability features and ambitious design. Judges described it as "one of the most significant sports complex construction projects ever undertaken in North America." "The Top Projects Awards judges were truly impressed by the high quality of work on display this year," said Joseph Caouette, editor of Alberta Construction Magazine. "Many of the winners overcame unique challenges to bring innovative technologies and practices to Alberta. All of the projects showcased the hard work and talent of this province's construction industry. Taken together, these projects offer a master class in what constitutes leading-edge construction in 2016." There were 11 winning projects chosen from a group of 26 finalists. Judges weighed many different factors when selecting winners, including sustainability, the use of advanced technologies, design complexity, and community and industry impact. More information on the Top Projects winners and finalists can be found in the Winter 2016 issue of Alberta Construction Magazine, as well as online at www.albertaconstructionmagazine.com/topprojects2016. For more than 75 years, JWN has provided trusted energy intelligence. Our energy professionals provide the information, insight and analysis organizations need to stay informed and understand what's happening in the energy industry. JWN provides a range of products and services to help companies gain the insights they need to stay competitive, including industry and company benchmarking, custom data sets, market intelligence, custom intelligence and outlook reports, integrated marketing solutions, and events and conferences. JWN's flagship products include the Daily Oil Bulletin, Oilweek and the Comprehensive Oilfield Service and Supply Directory.